It is the vision of the Otter Tail Family Services Collaborative that families, communities and service providing agencies work together for a responsive, flexible system of education, support and services that focus positively on the needs, strengths and potential of each child and family. 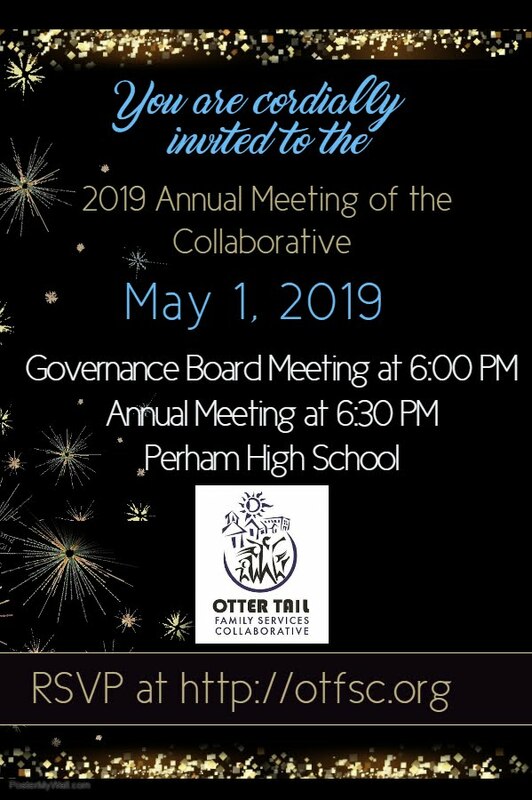 Click the invitation below to register for the Annual Meeting of the Collaborative. Is offered without charge to families, though third party reimbursement is sought whenever possible.